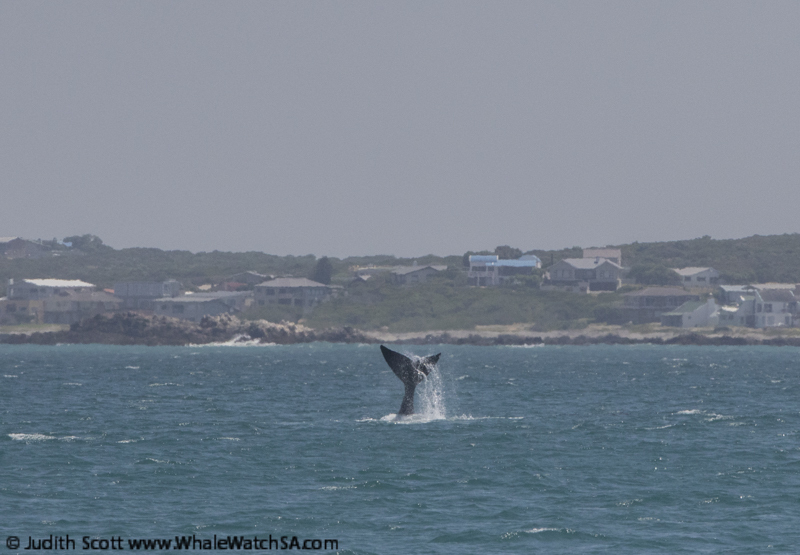 Our first trip today was a bit of an adventure as we rounded Danger Point after launching in Gansbaai and travelled into the wind. 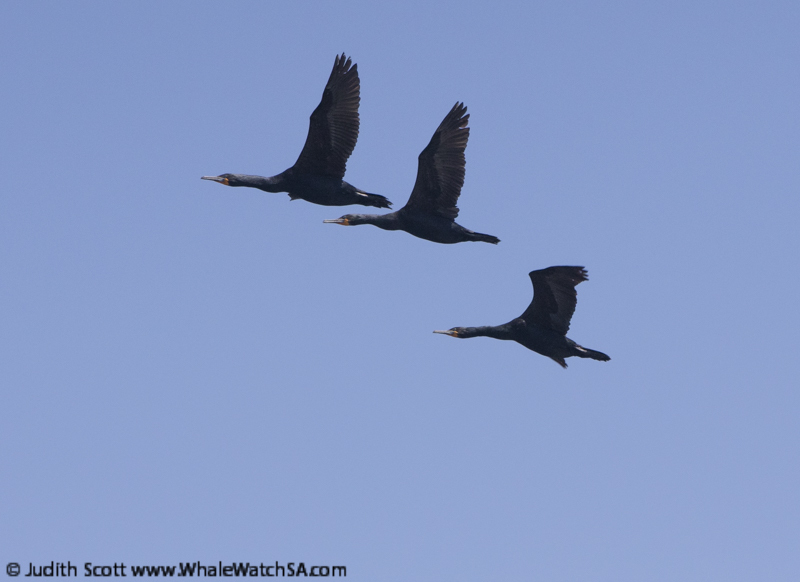 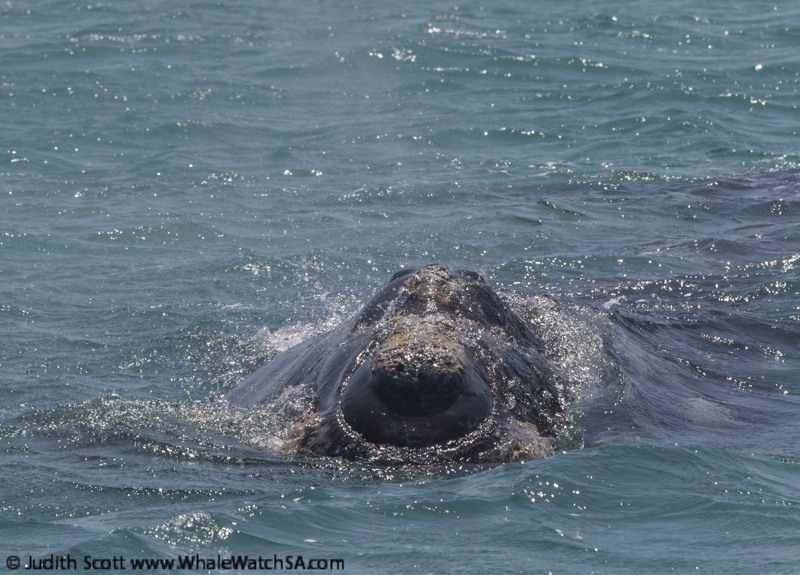 However, we found southern right whales in calm conditions behind Dyer Island and spent time watching them, with some incredibly close looks. 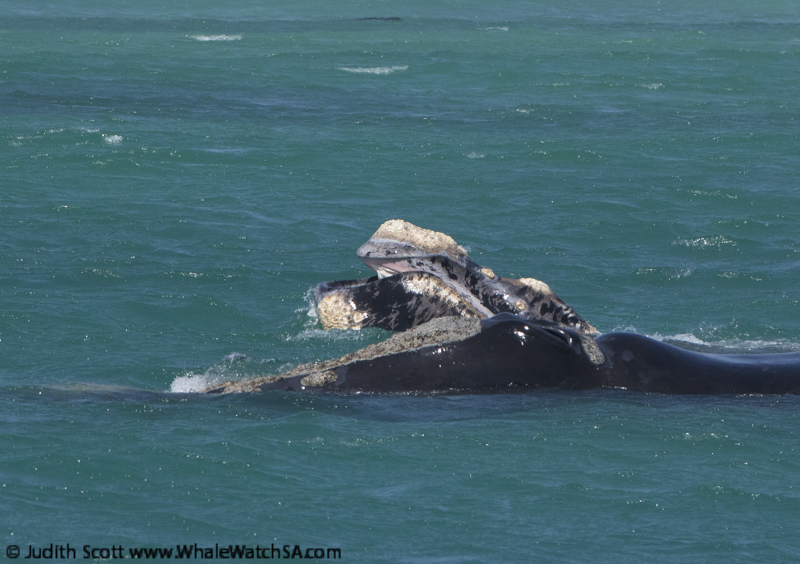 There were two pairs of mothers with calves around us, including the beautiful half brindle calf we first saw yesterday. 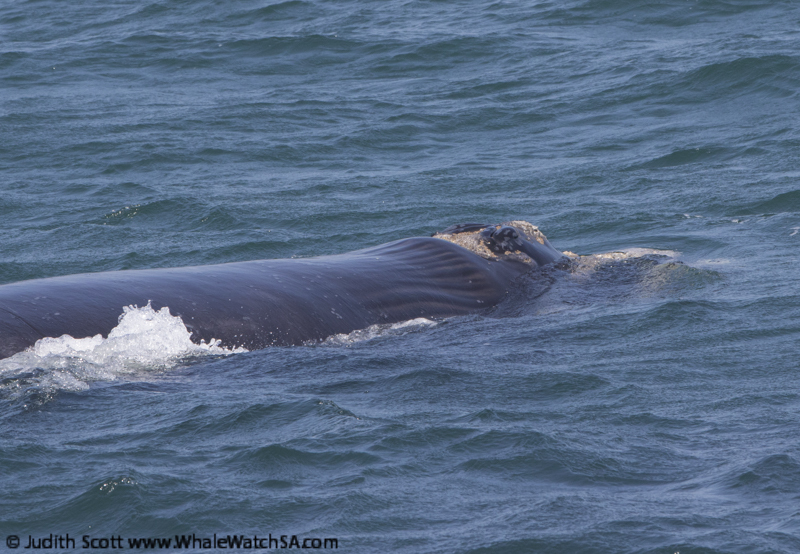 We also got to see a calf with some strange folds of skin it looks like behind its head (see pictures). 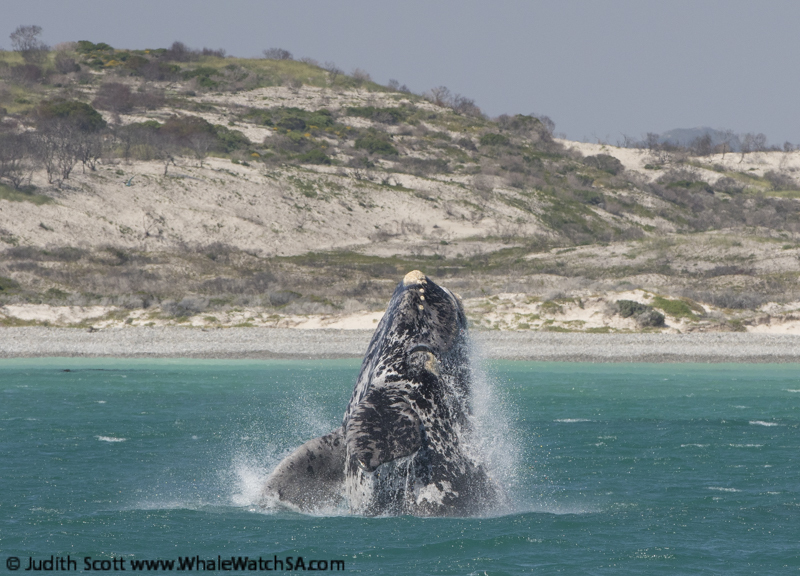 Later on this trip we watched more whales in the shallow waters of Uilenkraalsmond also. 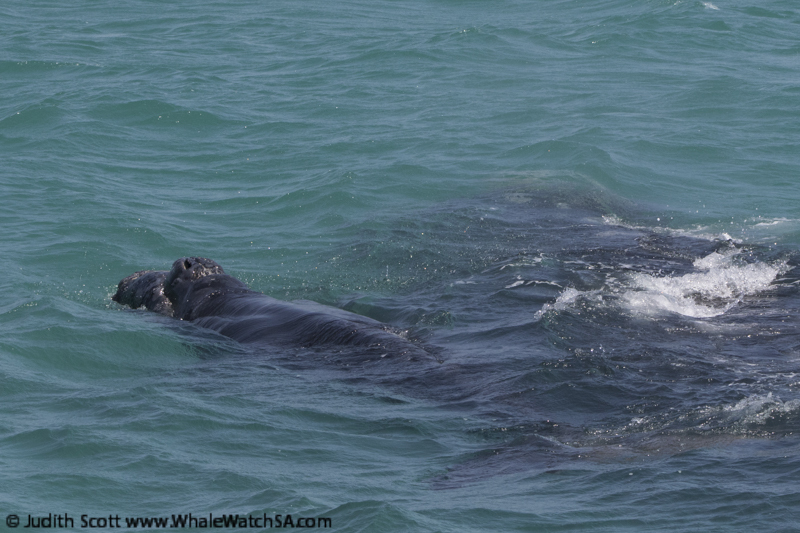 On trip two we saw a tiny calf very briefly which looks fairly new born. 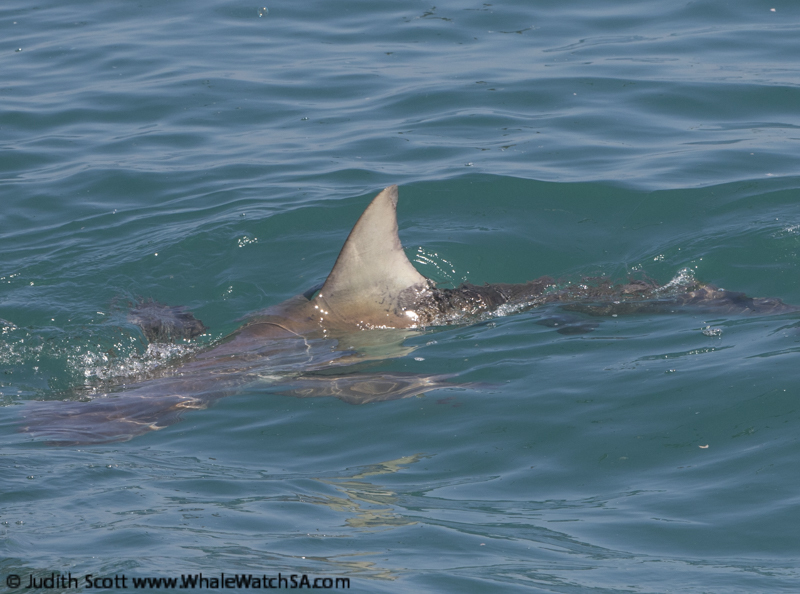 We did not spend time watching this very small whale as we did not want to distress it or its mother, but it was unusual to see such a small calf this late in the season. 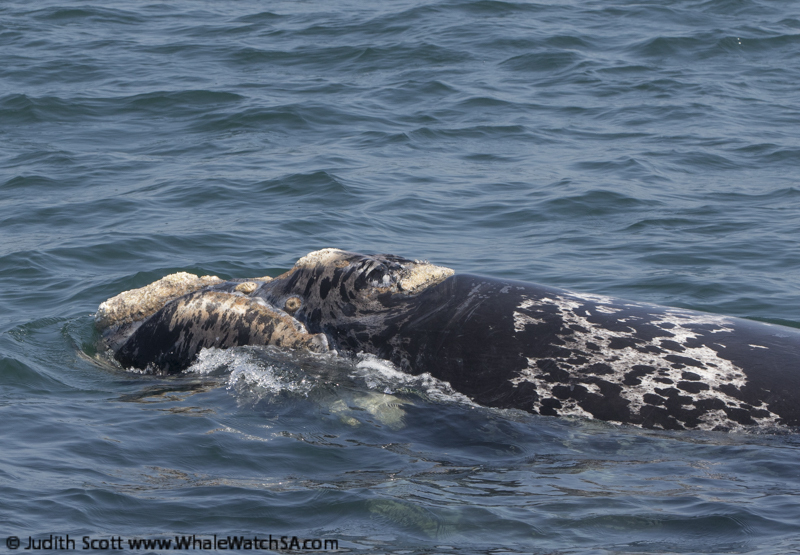 We spent most of our whale watch with a calf with beautiful white markings on its back and a tail that looked like the tip had been dipped in white paint! 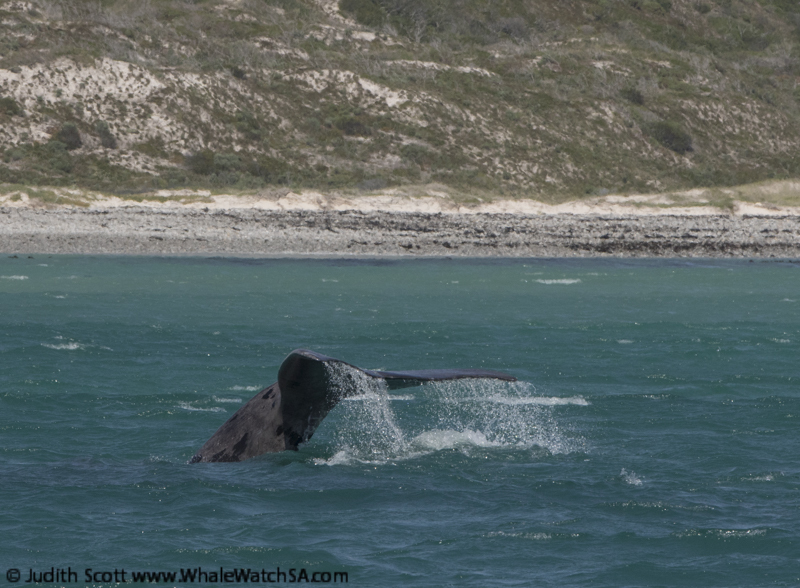 We also got to see a different calf lob-tailing a little further off. 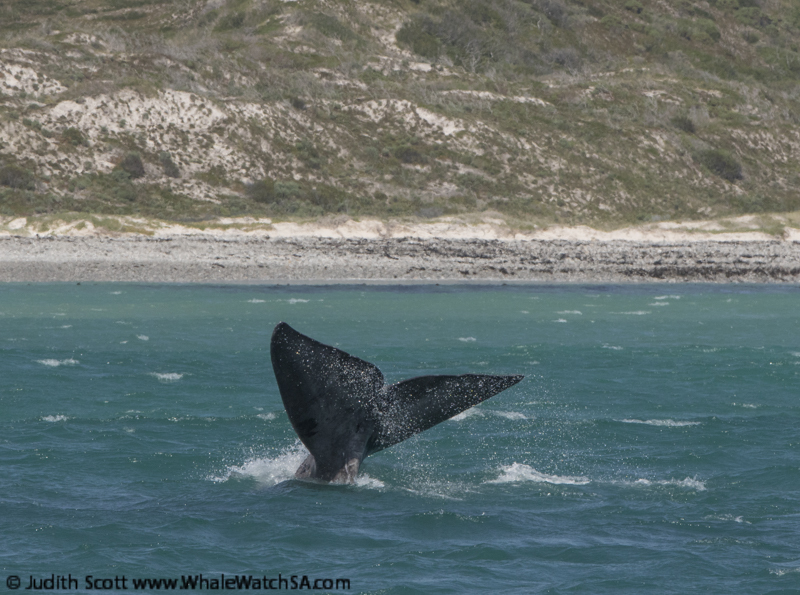 On trip three we again found the half brindle whale with its mother in a different area, showing the whales are constantly moving around. 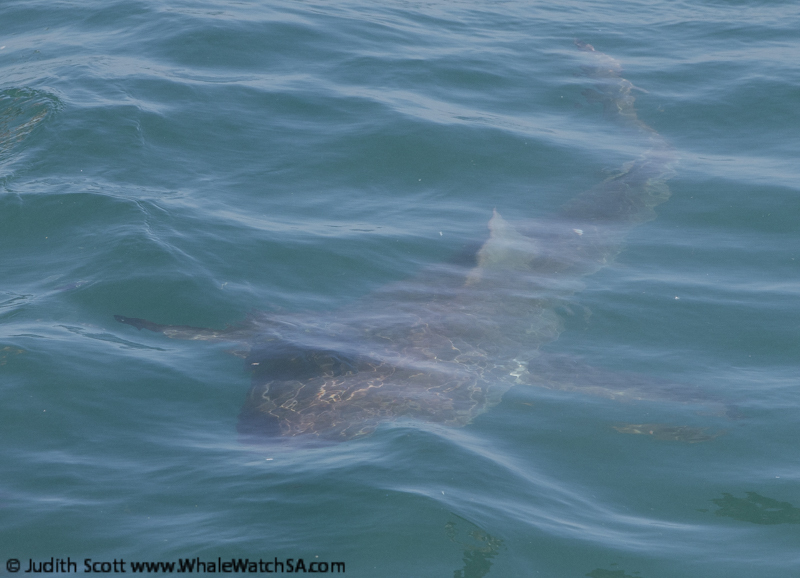 This calf, with its stunning and very unusual skin patterns gave us amazing looks when it breached a few times near us and also surfaced with its mouth open at one point. 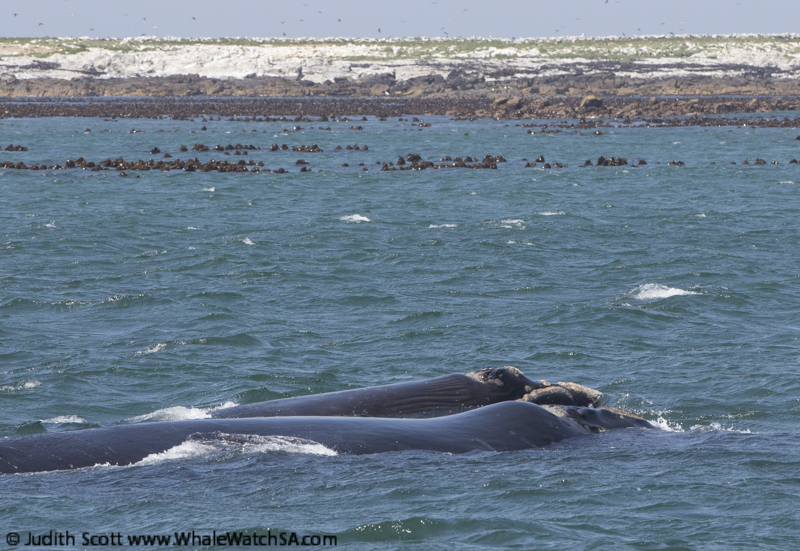 We also watched other mother and calf pairs in this area also. 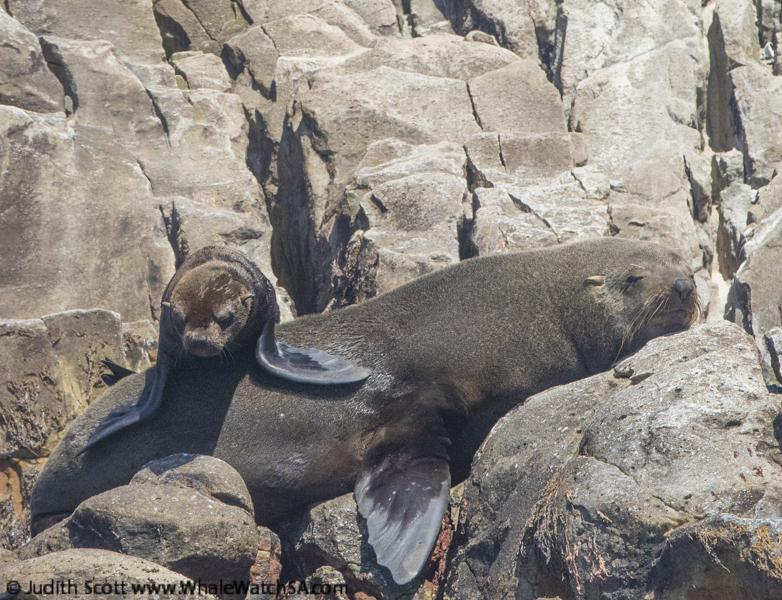 Although we briefly saw an African penguin on the last tour today, the penguins eluded us today, however we still showed our passengers the Dyer Island and the penguin houses people are helping to sponsor to try and save our critically endangered penguins. 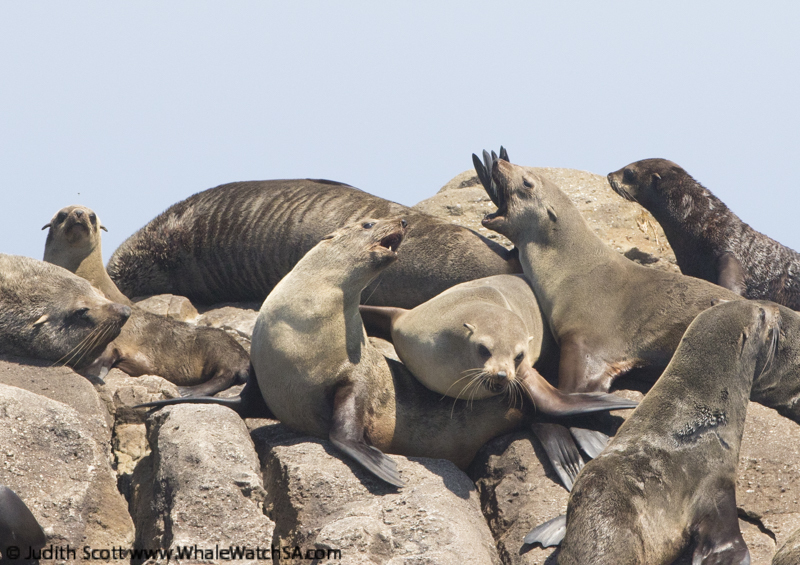 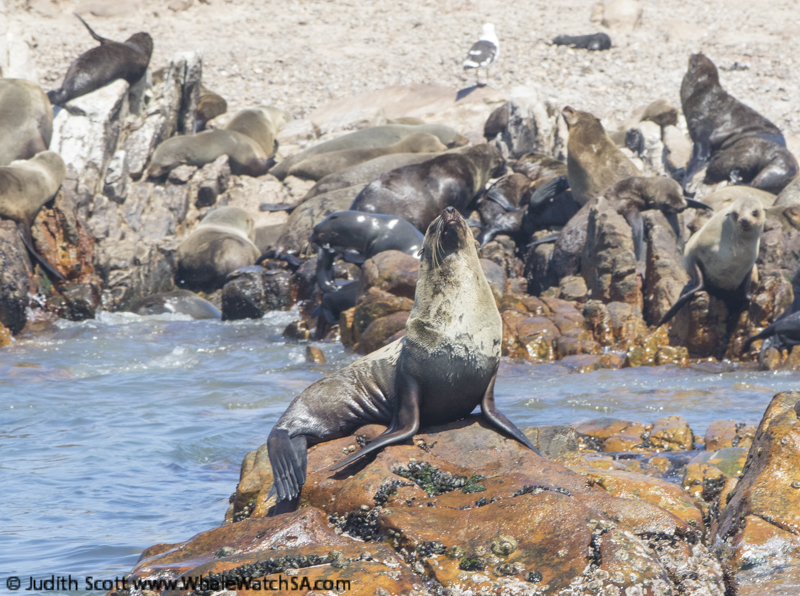 The cape fur seals were their usual raucous selves over on Geyser Rock, and we got to see at last one bronze whaler shark on every tour, however it was a brief sighting on trip two.